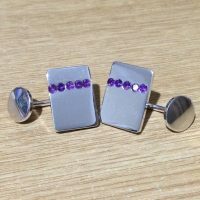 Polished silver cufflinks set with a line of amethysts. 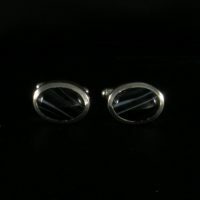 Black onyx with natural white lines in a silver setting. 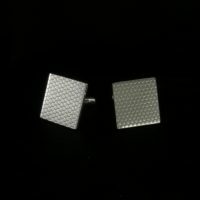 These cufflinks have an unusual honeycomb texture. 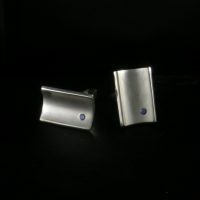 These cufflinks are concave in shape, with a satinised central section and polished edges, and set with tanzanite-coloured cubic zirconia.